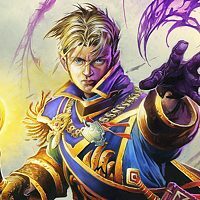 I've been playing Hearthstone (HS) fine using my Android. I'm using Xiaomi Mi pad 4 with Android 8.1.0 . Suddenly, around this week it keep logging me into Chinese login page. Is there a way to fix this problem ? I tried to uninstall and reinstall HS but after few hours but eventually, it brought me back to the Chinese login page again. Please somebody help me out. I also have this issue, but with the OnePlus 6T phone. There does not seem to be a way to change to us servers, or any other server. Is there a solution? Same issue here. It's VERY frustrating. Even bought winters veil pack and was a mess to open it. I have a mi note 5, MIUI 10, bought in China. I'm on American server and the Chinese login page doesn't even let you change the servers. Not able to play anymore. This is something we are investigating. We don't have any any fixes at the moment, but reinstalling seems to help temporarily. So.. you say that we need to reinstall the game each time we want to play? 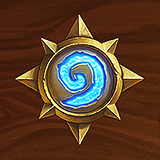 Come on HS mobile, we spent money on this game. It's already several days, are WE a joke to you? I'm not sure if flashing its ROM using Xiaomi.eu will do the trick; i heard the ROM is not global. So it probably won't fix this switching region problem ? Everything is fine before the Rastakhan's Rumble patch I think. I think if you use xiaomi chinese rom miui than you have to change to global rom miui. But to do this in some xiaomi type you have to unlock your xiaomi. You need to reauest to xiaomi to unlock yours. And then you can do flash to change your miui to global. My request to unlock was failed. Xiaomi refused it. Apparently the people screaming Blizzard is leaving us hanging don't work in software development. I do, and I know it's close to impossible to identify an issue, find a way to solve it, merge it, TEST it (this is extremely crucial and on its own takes a few days) and finally deploy the fix within 6 days over the Christmas holidays. I understand it's frustrating, but let's give them some time. How did you disable the app store in your xiaomi? Mind sharing it with us on how you do it? I tried clearing the cache and update history of the mi store as per what the suggested solution said, didn't do anything. It's been 2 weeks and no solution. Can't they just add server selection?